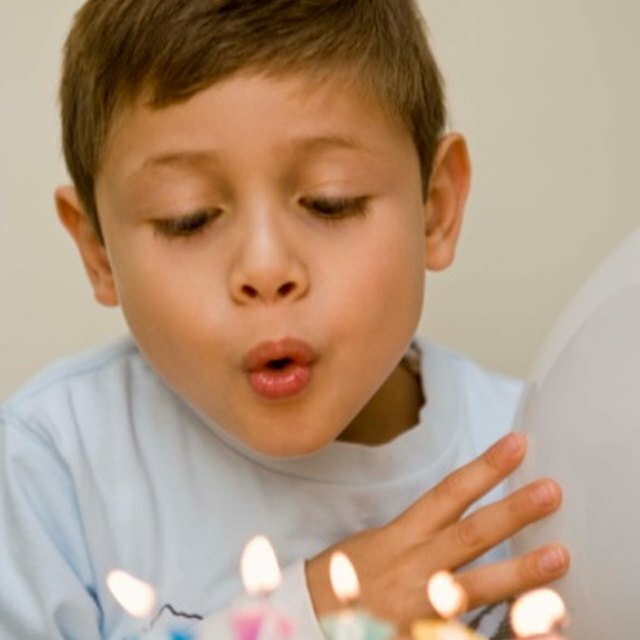 Celebrate your child's birthday at one of Chester County's many birthday party locations. No matter what kind of birthday party you are planning for your child, you'll find the perfect venue in Chester County, Pennsylvania. From bowling to pottery painting, swimming to moon bounce, Chester County offers a wide variety of birthday party locations in an array of budgets and activities. The hardest part may be choosing just one! Kids of all ages will enjoy parties with moonbounce options where children are set free to jump in inflatable bouncing structures. Monkey Joe's in Pottstown is a great spot for kids 12 and under. There are lots of birthday party options for up to 24 kids during regular hours, and there's also a toddler play area. Schedule an after hours party if you would like to invite more than 24 children. The staff at Monkey Joe's will set up before and clean up after your party, so all you have to do is watch the birthday child have fun. If you are in the West Chester area, visit One Stop Party Shop for two-hour parties with pizza, drinks and even your own hostess to organize your party and welcome your guests. Schedule a party for kids 8 and under any time during business hours or schedule a private party for children of all ages. One Stop Party Shop also has moonbounce inflatable rentals available for half days and full days to bring the party to your own back yard. If you are looking for a birthday party location with lots of different activities, check out one of Chester County's activity and sports centers. United Sports Center in Downingtown offers many options for birthday parties for different aged children, including party games, shirts for the guests, goodie bags, party supervisors, inflatable jumping, water slides, various sports and even a rock climbing wall. Boomers in Avondale has laser tag, games, moonbounce, sports and mini-golf. Party guests are free to stay as long as they like so long as they clear the party room after their allotted time. 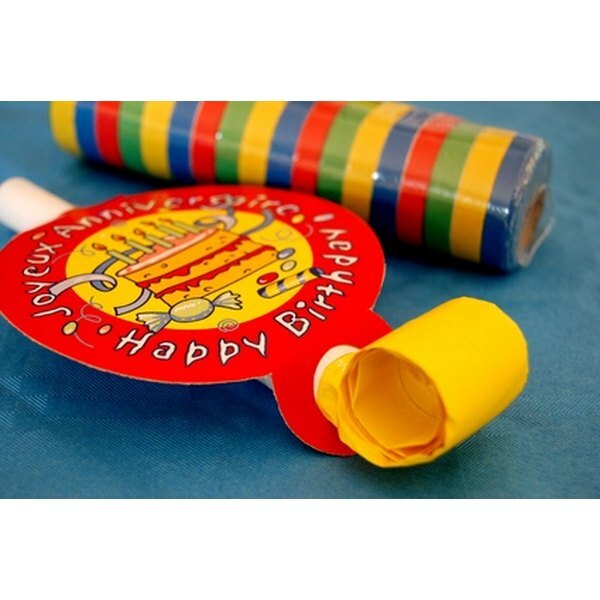 Enjoy pizza, drinks, tokens for the arcade and even invitations with your birthday package, while a variety of add-ons like balloons, party bags and bumper-boat rides are available. If you have a gymnastics fan in your family, make her dreams come true with a birthday party at one of the gymnastics centers in Chester County. My Gym in Exton caters mostly to the under-6 crowd, but offers birthday parties for all ages featuring 1.5 to 2 hours of gymnastics, puppets, songs and special birthday events in their gymnastics facilities. Your child will be the center of attention while her guests are led through activities during the entire party. Check out Aerials Fit & Fun Gymnastics in Phoenixville for an hour of supervised instruction plus 1/2 hour in the party room. All you need to bring is the birthday cake and Aerials will take care of the rest, including invitations, drinks, balloons, paper products and a T-shirt for 12-18 guests. Bling It On, also in West Chester, is a popular choice for children and teen birthday parties. Parents love it too, because Bling It On provides everything from the cupcakes to the drinks and goodie bags, plus 40 crystals to add "bling" to the item your guest chooses from the store. Color Me Mine has locations in Wayne and Glen Mills with art instructors on hand during your 1-1/2 hour party. Choose mugs, plates, bowls and party animals for your guests to paint. The host can pick up the art work after the pieces have been glazed and fired. Color Me Mine offers flexible party packages, including for children under 4 years old and groups of up to 40 guests. If your child has a warm-weather birthday, take advantage of one of Chester County's outdoor birthday venues. Visit Milky Way Farms in Chester Springs where your birthday child and guests can interact with farm animals, bottle-feed calves and collect chicken eggs for up to 1-1/2 hour tours. Make the party extra special by booking time at the Chester Springs Creamery located at Milky Way Farms where kids can make their own ice cream sundaes and take advantage of the indoor room to open gifts or play games. Tour Springton Manor in Glenmoore with your birthday group of 10 or more and meet a variety of animals in the barn and throughout the farm grounds. Children will also be enchanted by the Butterfly House at Springton Manor where they can see many species of native and exotic butterflies for groups of 10 or more. Picnic tables are available throughout Springton Manor for you and your guests to enjoy snacks and cake. Where Can Children Go in Las Vegas for Birthday Parties?